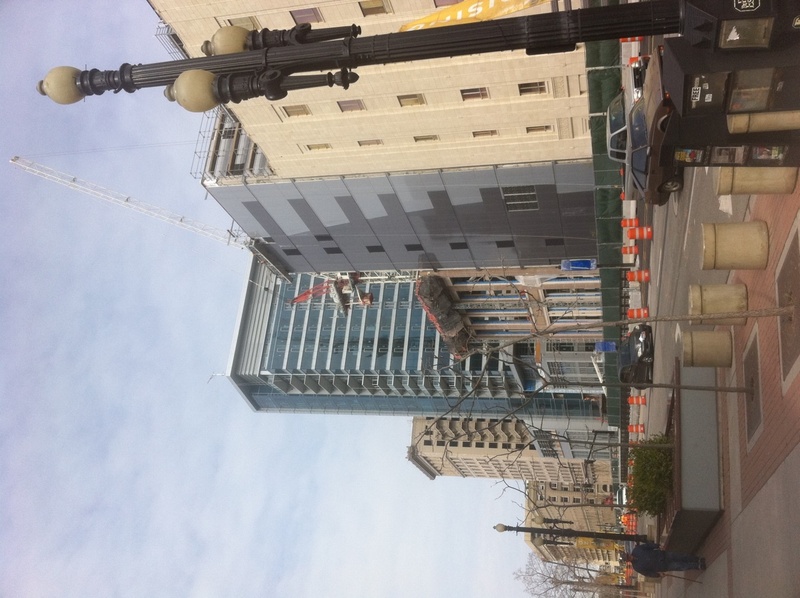 Economic Development in Downtown Salt Lake City: Is It Happy Hour Yet? As a native midwesterner, I’ll readily admit to having some skewed perceptions about Salt Lake City. And, you guessed it, much of this is precipitated by the area strong influence and strict lifestyle values fostered by the Mormon Church. But a recent visit to the city shifted my thinking a bit. Actually, a lot, once I felt comfortable ordering a mixed drink at a downtown eatery, albeit a very weak one. For many outsiders, Salt Lake City is viewed as a place where one must tread lightly to avoid crossing forbidden boundaries. Common refrain, in fact, suggests that letting ones hair down while imbibing a stiff drink is anathema to the strict Mormon culture emanating throughout the city. It was therefore surprising to discover on a recent stopover that loosening ones collar was no problem at all. Moreover, locals seemed very welcoming and accepting of outsiders—a welcome relief for those harboring misgivings pertaining about the area. As the state capital and largest city in Utah, Salt Lake City has long had a reputation as a button down, straight-laced environment. Much of this is attributed to it being the home of the Church of Jesus Christ of Latter-day Saints (more commonly know as the LDS or Mormon Church). The infusion of Mormon family values is clearly evident as one traverses the downtown core. The center city displays a clean, safe image, with the church grounds serving as the quintessential symbol of the overall area ethos. And my family and I were not in the least bit put off by the throngs of friendly missionaries that approached us marketing their church doctrine and lifestyle. We found them to be friendly, respectful and to be admired for their commitment amid hearing the word “no” on a consistent basis. 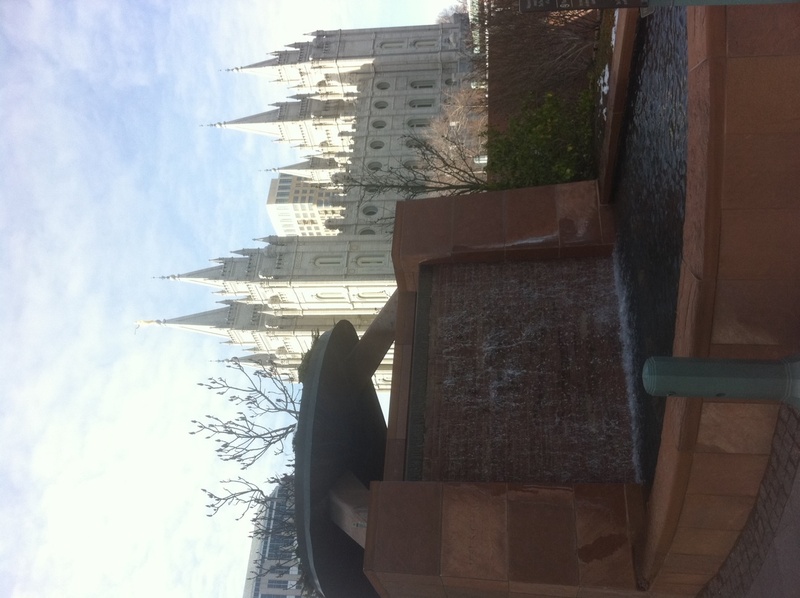 Strict values aside, my family and I found Salt Lake City a damn good place to visit. And increasingly it is becoming a preferred destination for Baby Boomers and Millennials alike seeking a great quality of life locale where they can put down their roots. Much of the buzz about the city is emanating from its downtown district, which is experiencing a period of unprecedented economic and housing development. Prospects in this district have been so robust that futurist Joel Kotkin, an internationally-recognized authority on global, economic, political and social trends, and staunch supporter of suburbia, penned a well crafted piece in support of the rising fortunes of Salt Lake City’s central business district. During a recent visit to the area, my wife, daughter and I, we were literally taken aback by all of the fervent development activity in progress, complete with noisy jackhammers, tall construction crains and the smell of freshly poured concrete. The downtown district, naturally blessed with quality architectural bones and an efficiently structured arterial grid, provides the ideal setup for a redevelopment renaissance. 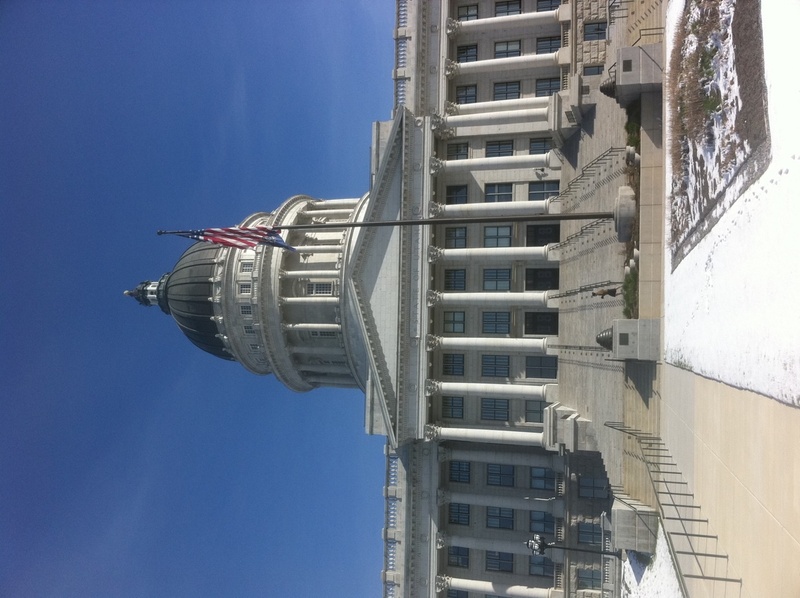 According to a “Mountain Monitor” study of the Rocky Mountain Region economy by Brookings Mountain West, Salt Lake City was noted as being among the top U.S. cities in terms of making a swift economic recovery. This was readily apparent downtown where high rise residential projects seemed to be in full bloom everywhere you turned. With empty nesters and emerging professional alike now finding central-city living attractive, recent estimates projected a tripling of the current downtown population of 10,000 within the next ten years. There has also been an uptick in interest among small businesses and corporations in relocating to the central business district. Arguably the areas biggest coup was attracting Goldman Sachs, one of the worlds largest investment banking firms to a prized location at the heart of the central business district. Located in Utah’s first LEED Gold certified high-rise at 222 Main Street, it now the company’s second-largest office in North America, housing more than 1,500 employees. In addition, perennial Salt Lake business stalwart O.C. Tanner, arguably the nation’s top corporate recognition awards firm, recently relocated its headquarters to the converted Salt Lake City Library at 15 S. State Street. The building, an architectural gem constructed in 1905, symbolizes the historic character that is infused throughout the inner core of the city. All of this portends a bright future for business and commerce both downtown and in the metro area. In fact, Kip linger Magazine ranks Salt Lake City as the fifth best place to be for the next ten years citing emerging opportunities in fields such as the biosciences and heath sciences as the reason for optimism. One of the signature features of downtown is The Gateway, a mixed use retail-residential development featuring shops, boutiques, theaters and eateries in a pedestrian friendly environment. Big names stores like Dicks Sporting Goods, Barnes and Noble, Urban Outfitters and Abercrombie and Fitch are a huge draw generating civic vibrancy and tax revenues to the area. And in the works is the Cherry Creek Center, an open-air, mixed use shopping, living and dining development, slated to open in early 2012. At various stages of planning are myriad other development projects designed to boost quality of life downtown. The one that is most widely talked about is a new public market, a community gathering point featuring local goods as well as specialty items imported globally. It is envisioned that this venue, as an added enhancement to the already popular farmers market that takes place from June to October of each year, will rival such popular markets as Pikes Place in Seattle and the Ferry Building in San Francisco. There are also plans afoot for a regional transportation connector that links downtown with Salt Lake City Airport as well as commuter rail to Ogden and Provo. Diversifying the mix of civic amenities and attraction is a wise move for Salt Lake as it repositions itself as a destination of choice for new residents and tourists. The Utah Jazz professional basketball team, long the only game in town for years, had fallen on hard times of late with the loss of its hall of fame coach Jerry Sloan as well as player trades and retirements. Its recent dormancy speaks to the importance of not relying on a storied franchise as the sole source of economic vibrancy for an area. So cheers to Salt Lake City for its bright economic and quality of life future. Be forewarned though that happy hour specials are barred in the city, with no mixing of shots allowed. And for all you wine aficionados, local bartenders can pour only a 5 oz glass of wine instead of the traditional six. Oh well, there are plenty of reasons to celebrate nevertheless.